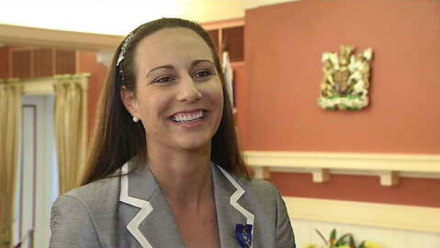 Female sporting leaders dedicated to the development of recreational and competitive sport are among almost 150 Queenslanders receiving awards at Government House this week recognising their achievements. Queensland Governor Paul de Jersey presenting the Australia Day 2015 Honours List awards during five ceremonies formally acknowledging recipients’ services to the community. 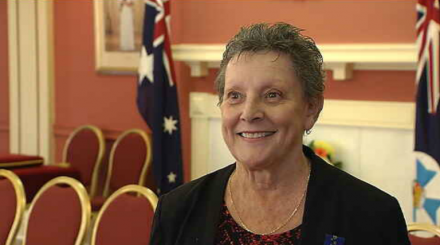 Susanne MacDonald was awarded a medal of the Order of Australia in the general division and says it is humbling to be recognised. She has been a volunteer trainer and assessor at Southport Surf Lifesaving Club for 28 years. “To think that my peers at my surf club would nominate me for the award, it’s fantastic,” she said. She began her journey as part of the Nipper movement, but joined Southport Surf Lifesaving Club in 1991 when she met a group of girls who wanted their bronze medallion. The group went on to be the first all-female and female-trained bronze squad. “Most of my age group that I took through are now in their early 30s but I’ve continued on with youth development,” she said. Kristy Ellis is also involved in lifesaving and was recognised for her service to the sport as a competitor and role model, and for her current role as the National Sport Integrity Advisor. Ms Ellis won the Australian Ironwoman in 2002 while still in the under-19 age bracket and has since been crowned World Ironwoman champion three times. She was appointed a Member of the Order of Australia in the general division. “We’re quite lucky in surf lifesaving that you have the opportunity to volunteer your time to keep beaches safe and to progress the organisation that way, so it’s a wonderful thing to be involved with,” she said. Like Ms MacDonald, Ms Ellis says she is passionate about bringing young people into the sport. “I’ve just had two young children so I’m hoping to teach them about lifesaving and life on the beach as I’ve known it and I’m hoping that they will love it and get just as much out of it as I have,” she said. Wendy Downes received a medal of the Order of Australia in the general division. She founded of the Airlie Beach Triathlon Club out of what she saw as necessity. “I enjoyed the running so much that I wanted to help and when we moved from New South Wales to Queensland there were no clubs and no organisations,” she said. “No one was doing triathlon and running and I felt that we needed to do that. Ms Downes was also the founding president of the Whitsundays Running Club and has helped develop several sporting events in the Whitsundays. “You just do what you do because you want to do it, not because you have to,” she said. “I guess it gives some credibility to what I do and it’s humbling. The awards come off the back of a worldwide movement to get more women involved in recreational sport – without fear of judgement. In February, an English advertising campaign designed to encourage women and girls into sport, regardless of size or ability, went viral. The This Girl Can video caused a social media sensation, attracting almost 18 million views on Facebook and YouTube and inspiring to a community of encouragement under the Twitter hashtag #ThisGirlCan. Featuring women sweating and jiggling as they exercise, the campaign was an attempt to break away from the stylised images of women common in sports advertising campaigns. “They come in all shapes and sizes and all levels of ability. They have a myriad of reasons for doing what they do. Ms Downes says joining a training group provides friendship, encouragement and competition to all athletes, especially for sporting newcomers. “People who say they can’t – I can’t run, I can’t ride a bike, I can’t swim – we can all do it,” she said. “It’s a matter of finding someone to do it with and joining a club is the way to do that. She says the sense of community helps with the highs and lows. “If somebody’s not feeling well, you go slow with them. If they want to train faster, you train faster, ” she said. Recipients of the Australia Day 2015 Honours List awards are nominated by their peers, and awarded for voluntary or professional excellence in a chosen field, significant achievement or meritorious service. The ceremonies so far have recognised contributions to the community, but tomorrow’s concluding ceremony will honour recipients of Australian Bravery Decorations.